Featuring impressive brakes, a strong powertrain, a spacious interior, comfortable seating and a quiet riding experience, along with a long list of innovative safety equipment, the BMW Series 7 also provides high quality, plush interior components. Visit us at Carson Cars today, to see our exceptional inventory of BMW 7 Mercedes For Sale in Lynnwood. The BMW 7 Series sedan achieves a combined fuel efficiency score between 17 and 20 miles per gallon based on the trim choice. The trim options include: the 740i, the 740Li, the 750i, the 750Li, and the 760Li. The Li models feature a longer wheelbase. The 740i trim comes with quad region climate control, xenon head lights, a rear visibility camera system, park sensory in the front and rear, a CD player with a twelve speaker audio system, fog lamps, interface for USB, iPod and Bluetooth devices, navigation technology, a telescopic and tilting steering wheel, driver seating with memory capabilities, leather upholstery, remote start, as well as iDrive and BMW Assist technology. The 750i level gains lumbar supported seating, a power operated trunk, and remote entry. Optional components include heated and cooled seats, satellite radio, lane departure and blind spot notification, a side and top camera system, adaptive speed control, and a rear twin display entertainment unit. The 760i comes with all of the standard and optional equipment of the 740i and the 750i as well as an aerodynamic exterior kit, and active steering. Active speed control, exclusive interior colors and detailing, infrared night visibility, and exclusive BMW apps are also available. All wheel ABS, an extensive airbag system, traction and stability control, brake drying and assist, tire pressure tracking, engine immobilization, rear door safety locks, whiplash reduction head restraints, and xenon head lights are all standard safety components on the BMW 7 Series. 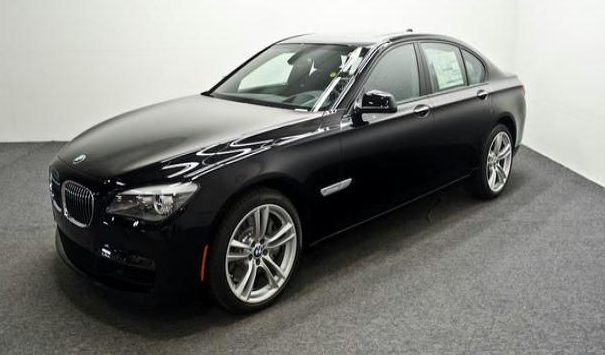 Come in and visit us today at Carson Cars to view our select inventory of BMW 7 Series For Sale in Lynnwood.